Karastan goes above and beyond when producing carpets to ensure the best quality. They start by using premium fibers resulting in carpet that is exceptionally durable as well as soil and stain resistant. Each tuft averages 6-7 twists per tuft to help reduce matting and packing, providing a fuller, and longer lasting carpet. They have patented equipment for state- of-the-art results in weaving and tufting, and their unique 14 pick- back is four times the industry standards making the carpet less likely to buckle and easier to install. Before the carpets are finished they go through multiple shearing processes, so the carpets shed less, have a more defined tip, and a cleaner finish. Nylon- This man-made fiber provides a less expensive option than all- wool carpets while maintaining durability and softness. Karastan uses Invista Tactesse Nylon in many of its carpets for added crush resistance and stain protection. Wool- Wool is the most beautiful, luxurious, and durable of all the carpet fibers. It is a natural fiber that is highly regarded for its strength, durability, crush resistance, cleanability, and comfort. Karastan’s woven and tufted carpets offer timeless design choices- fresh colors, exquisite patterns, new textures, and innovative fibers that will always be perfectly in style. Each one is beautiful and each one lives beautifully. There are so many Karastan carpets to fall in love with; but one of our personal favorites is the Woolston Plaid collection. It is made from 100% New Zealand wool. Carpet transforms the way a home looks. But the cushion determines how your carpet feels. KaraStep Perfection premium cushion significantly improves the comfort, beauty and performance of your flooring investment. It forms a foundation unlike any other, creating an unseen layer of protection that reduces noise and resists moisture and mildew. KaraStep Perfection perfectly complements every carpet while soothing mind, body and sole. 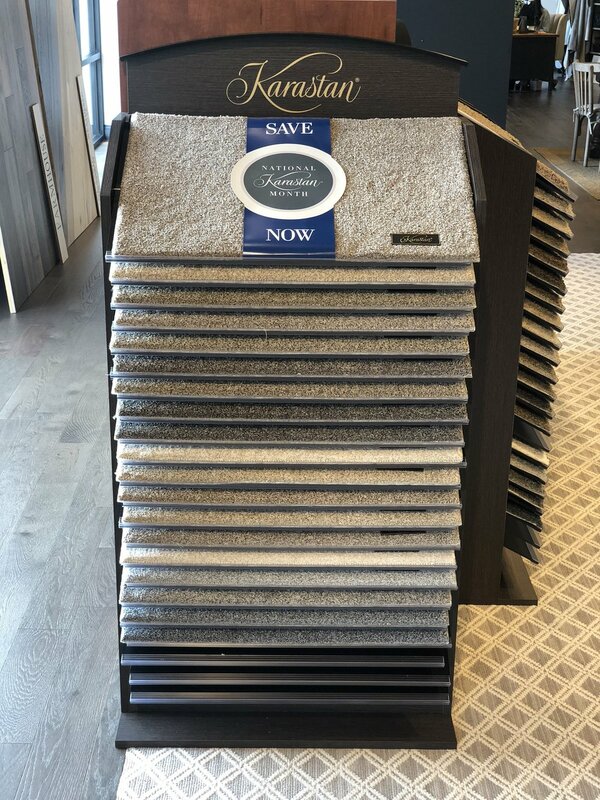 Take advantage and save up to $1,000 on select Karastan styles ranging from wool carpet to SmartStrand Forever Clean with All Pet Protection & Warranty to Kashmere Nylon. Get signed up for special Karastan financing terms under the “0% financing” tab on our website. 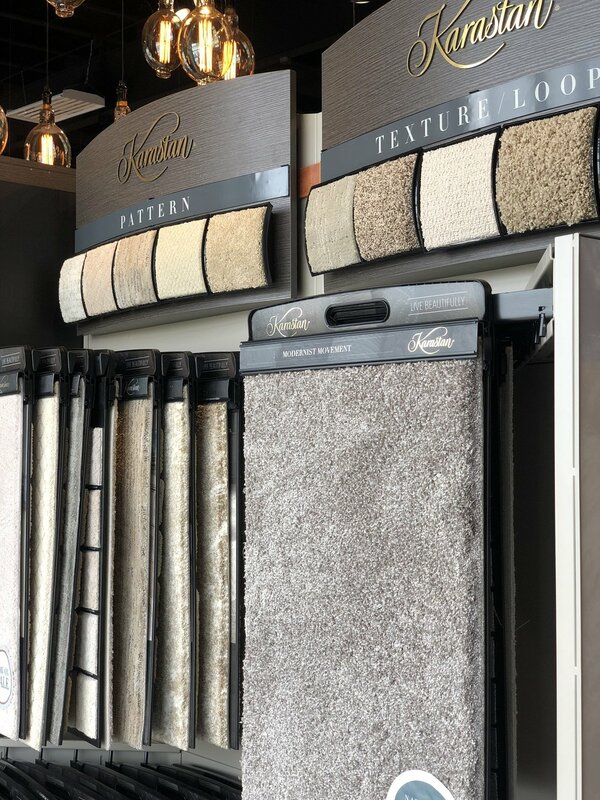 If you have any further questions feel free to give us a call at (417) 883-4720, email us at flooring417@gmail.com, and be sure to stop by the showroom at 2516 W. Battlefield to view, check out samples and purchase from our large Karastan selection including in-stock and special ordered products.